To the newest member of my shoe family, Damsel. I'm well and truly a shopaholic. sooo amazing! and I LOVE those striped pants! O_O HELLO DAMSEL!!! I do believe I am in love!!! and those pink and white striped jeans remind me of the zebra gum they use to sell in the 90's... I AM OBSESSED!!! LOVE the boots & jeans, gorgeous! Them trousers are going to look incredible on you! OH. MY. GOSH. The damsel is soooooo pretty! i know you're going to style them perfectly. I think i might thave to order those pink and white striped pants! I love your style though! Pinstripe pants are very hot. 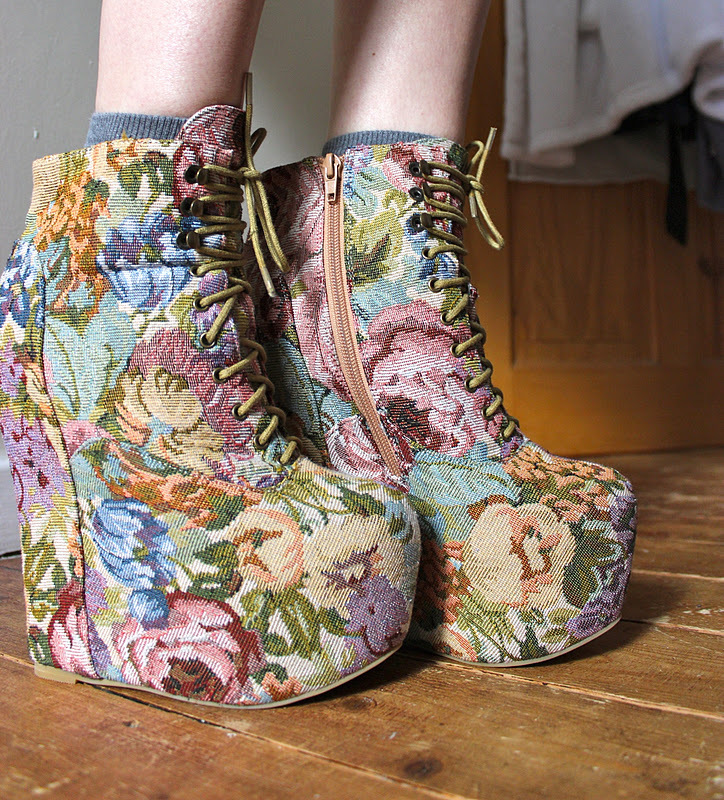 Those shoes, oh my gosh oh my gosh! And those trousers - remind me of the motel ones! 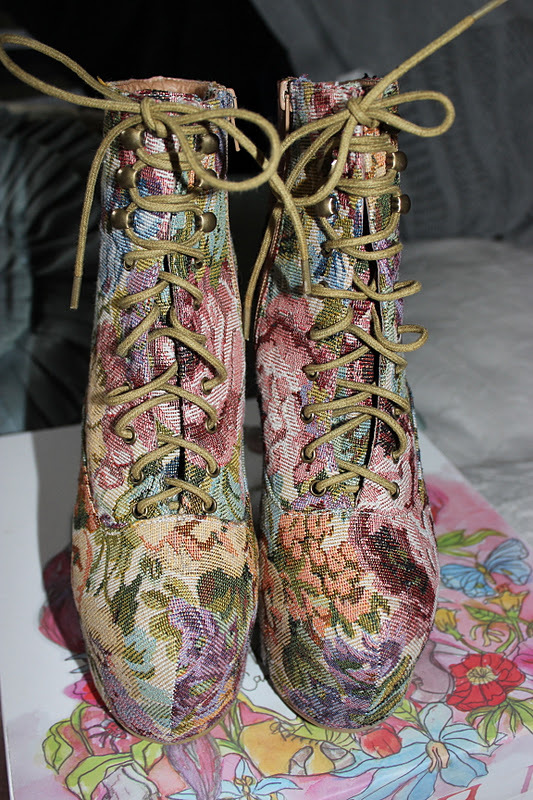 I genuinely think I might have to buy those ones for Spring - I would actually live in them! you got some really cute stuff! i just adore those shoes. So glad I just stumbled upon your blog. Such a vibrant post, I love! Amazing pair of shoes!So unique! The shoes and jeans are gorgeous. Great post and even better hair! LUCY THEY ARE GORGE! SO JEALOUS! Those pink and yellow jeans are in-sane!!!! I love it! Those Jeans are A-MAY-ZING ! !